For the fourth year in a row, the VA and the NASCAR race tracks across the country are joining forces to Drive VA Benefits and Services Home for Veterans. This 2018 race season, we're reaching out where you live, work, and socialize to ensure you know how to access the benefits and services you have earned and deserve. May 24 and May 26-27: Charlotte Motor Speedway: Memorial Day Weekend, we'll be site in Concord, NC for the legendary Coca-Cola 600. September 7-9: Indianapolis Motor Speedway: Join us as the Brickyard 400 moves to the 9/11 Anniversary weekend as the Last Race to Make the Chase. September 21-22: Richmond International Raceway: Come out to the U.S. Department of Veterans Affairs Pole Qualifying in Richmond, VA on September 21, and enjoy Saturday night racing under the lights for the Federated Auto Parts 400 on September 22! October 5-7: Dover International Speedway: We'll be back at the Monster Mile in Dover, DE as the Chase is heating up. November 2-4: Texas Motor Speedway: Join us in Forth Worth, TX for the AAA Texas 500. March 9-11: ISM Raceway (formerly Phoenix Raceway): On Veterans Day weekend, we'll be reaching out to the Veterans in Avondale, AZ at the Can-Am 500. 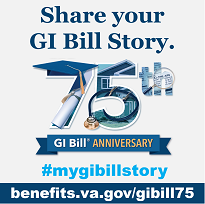 Come join us and learn how you can Drive Your VA Benefits and Services Home!